Project Type: Product packaging and company branding. 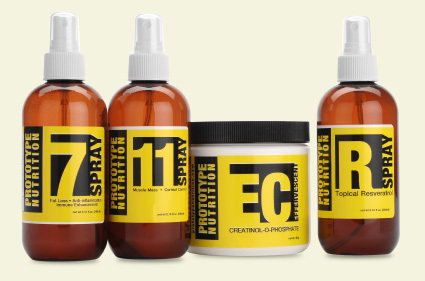 Project Description: Specializing in small run cutting edge sports supplement products, Prototype Nutrition is at the very front of innovation in the sports supplement industry. The internet is their main outlet for sales and they needed product packaging they could produce on their in house label system. Six Demon Studio chose to go with a modern branding look focused on typographic elements. While each product in the brand is easy to identify, this product packaging branding maintains a uniform appearance in an effort o sell the brand as a whole instead of individual products. This cross marketing of the products as a family increases the overall corporate branding.